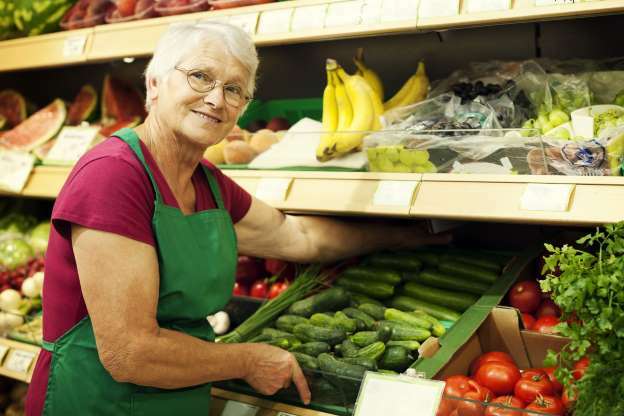 For the many people who have fallen behind in their retirement savings, the prospect of part-time work in their golden years is a very real possibility. However, it may not be wise to count on those paychecks after leaving your regular 9-to-5. Recent numbers show employers may not be too keen on hiring older, part-time employees. In fact, a new study by Bankers Life shows nearly three-quarters of retired Baby Boomers currently are not working for pay. Another survey by the Transamerica Center for Retirement Studies found more than half of workers in their 50s and 60s said their employers do not offer — or they are not sure they offer — benefits such as part-time work or flexible schedules to help employees who are transitioning into retirement. That said, Carosa adds seeking a flexible schedule or part-time work is not an unreasonable strategy — and not just because one may need money. He said many are opting for “retirement careers,” because people are retiring younger and healthier than ever before and many desire to maintain the social and intellectual stimulation offered by a working environment. Paul Lewis, a financial and wealth advisor at Research Financial Strategies, said he agrees post-retirement work can be financially beneficial, but advises it to be a desire — not a need. Lewis said this can sometimes mean telling clients they are not ready for retirement. “I would rather my clients have a suitable amount of assets to be financially secure and work part time if it is something they enjoy, or possibly supplement their or replace retirement income as a choice rather than a need,” he added. The good news is that seems to be the case for many, with the Bankers Life survey reporting that of those currently working, 61% say they are working because they want to work, not because they have to work — adding a little cushion to their retirement. Robert Martorana, a portfolio manager at Right Blend Investing LLC, said he often runs retirement simulations for clients, and working during retirement can be a tremendous help. “I always encourage clients to keep their options open if they have the willingness and ability to work during retirement, either full time or part-time,” Martorana said.